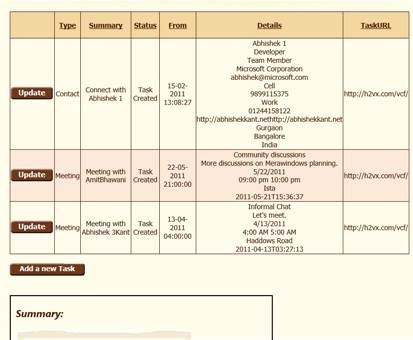 This post is a summary of the previous 12 blog posts where we have talked on how to upgrade our web application using the Telerik Ajax ASP.NET controls.We took an example of an Event Networking Application which is further explained in the first article. 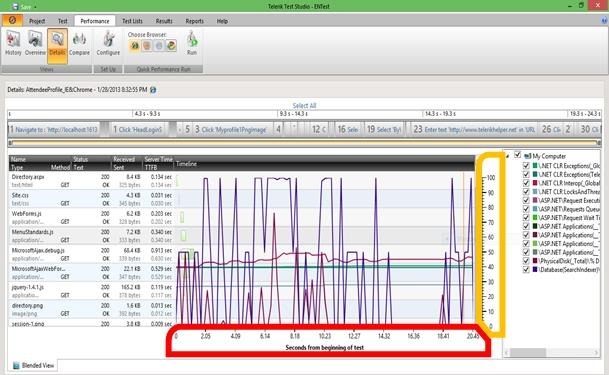 We started with testing the application to set a benchmark followed by implementing the Data Access Layer. Then we replaced almost all the controls with Rad controls. And in the end we have finally changed our interface to a new design. To do so we have used basic twitter bootstrap responsive css. To know more about implementing bootstrap click here. To see the difference in the User Interface changes between the old and the new web application we have highlighted some of the major features. 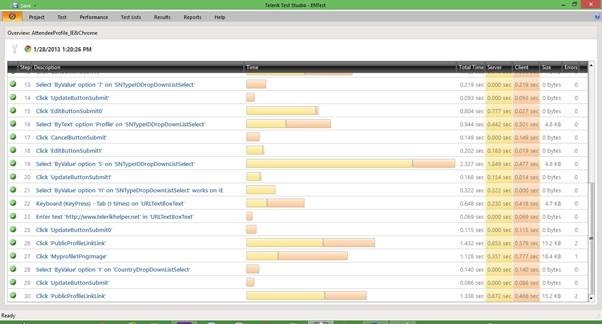 At the DAL we can see a new layer being created in the form of a project named EventNetworking.Data. Following from the above we have a new architecture for our application. There is a new search criteria based on the Attendee name. Even the list can now be sorted only on the basis of the speakers. The basic UX has been modified to a RadGrid interface providing a better sorting, multiple-grouping as well as paging options. 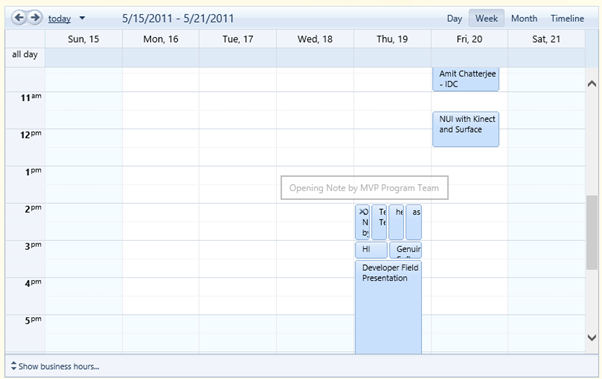 The scheduler where all the registered sessions were stored is now represented in a calendar form. 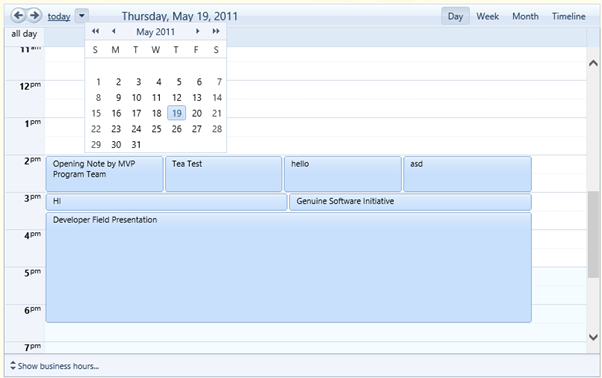 Using RadScheduler the UI has turned very interactive and smooth. 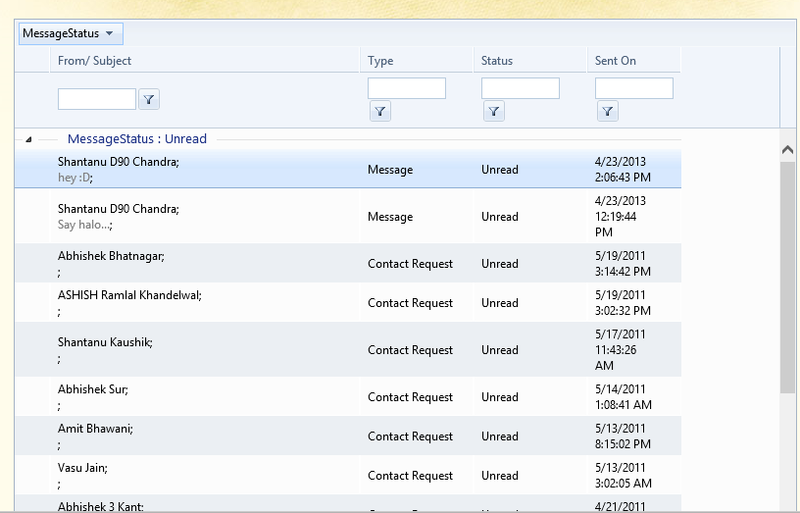 The extensive vertical scrolling has been split into two pages namely inbox and outbox with almost a similar UI. The bootstrap CSS has made all the difference in this page. 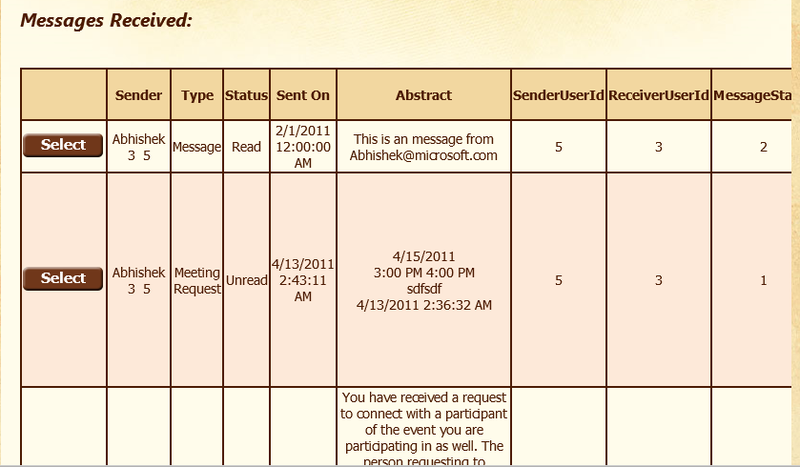 The following snippet displays the responsiveness of our application. Edit profile, when viewed in a mobile browser, we could experience the details have automatically shrunk to fit on the screen. This reduces the navigation to one dimension hence increasing the user experience. The back-end does not really affect a user. What affects the user is the interface and the smooth performance of the Web Application. That is what we have tried to justify in our application. These are not all but the major features that have made difference in our application. Please comment on where else can we tweak the UI. 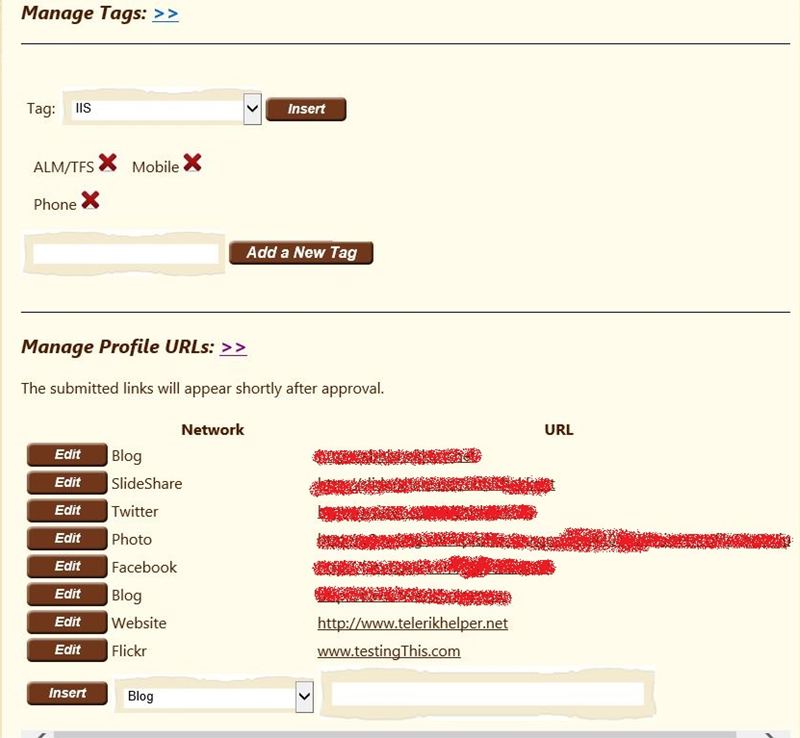 We have used this particular control in the admin page for adding or deleting tags attached to the sessions. We use two Open Access data source here. 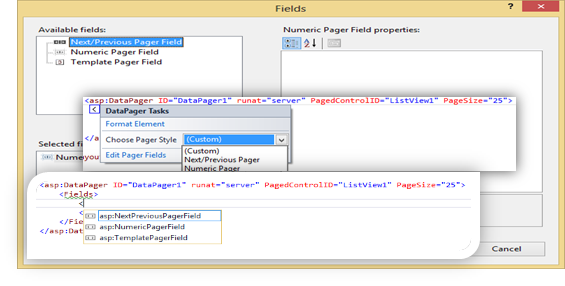 First to fetch the TagName and set the property to DataTextField and second we attach TagID to the DataValueField. 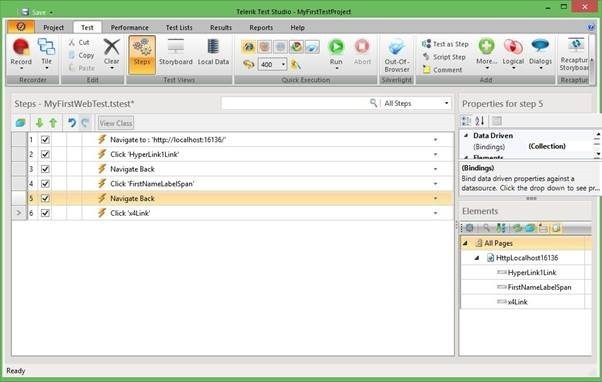 <telerik:OpenAccessDataSource ID="tagLDS" runat="server" EnableDelete="False" EnableInsert="False"
This control adds the tags to the control which are already associated to the session we are dealing with. To add an entry we just start typing and the list would be populated automatically. We can either select from the list or just type in the whole tag. To remove a specified tag we just click the cross symbol and the EntryRemoved code will get executed. Here we specify the session and the tag and it get removed from the sessionTags table. This control is useful when few elements need to be selected from a huge list. We had the same scenario and hence we used the RadAutoCompleteBox. Here, we define the event where the loading symbol need to be popped as a modal window. For example, when you refresh your inbox. We need to define only one LoadingPanel which can be reused every-time we need one. RadWindow is used like a popup on the screen and the complete message is displayed in this window. We can either set the screen to be modal or not. This is called a child window the page which calls it is called a parent window. 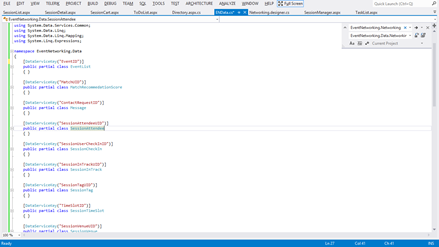 This windows will be called from the RadCodeBlock once the message row is selected/clicked. 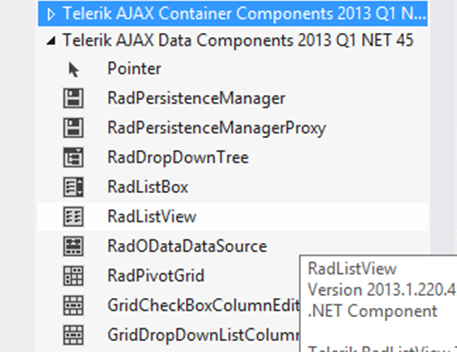 <telerik:RadWindow ID="DisplayRead" runat="server" Title="Read and Reply"
This is where we define the loading panel which is explained in the RadAjaxManager. This is the actual control which is going to enhance your experience. <telerik:RadGrid ID="ReceivedMessagesGrid" runat="server" CellSpacing="0" AutoGenerateColumns="false"
GridLines="None" AllowPaging="True" AllowSorting="True" PageSize="15" AllowMultiRowSelection="True" Skin="Windows7"
This defines all the client side events, if any. 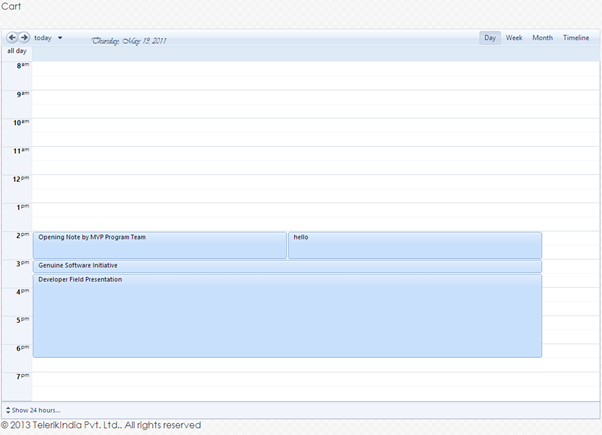 Here, we have defined OnRowClick event which is fired at the client side when we click any of the RadGrid row. This fires the function defined in the RadCodeBlock. This is where we define all the columns, their appearance and their sorting as well as grouping expressions. Few of the column types we have used are GridTemplateColumn and GridBoundColumn. GridBoundColumn can directly be bound by specifying the column name of the table in the data field property. This String2Extract function is defined in the code behind. . The code above also explains how to call a function from code behind into a control and using some parameters. In the page load event we create a context for Sent messages, and then we bind the data with our RadGrid. 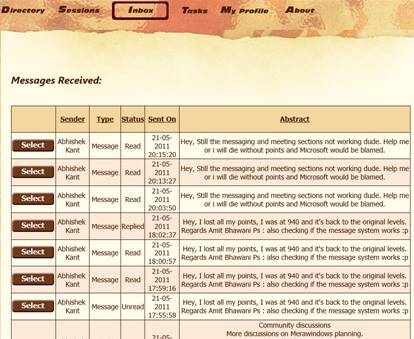 This function is used to display the first 100 characters of the message as the subject in the list of the inbox. This event is fired each time the page is ajax-ified. If there is an AjaxRequest calling either “Rebind” or “RebindAndNavigate”. And once you click any of the message a child window open which displays the message and you have the option to respond to the message depending on the message type. As a part of following best practice we need to separate the data access from our existing project. Here, we talk about how we create an ORM (Object-Relational Mapping) and create a separate DAL. Remove any Projects which might be unavailable. We must reconfigure our Connection String to the localhost within Web.Config file. Any connections to the TFS server shall be currently closed, because our development will be focused initially on local server. Build the Solution and execute it to check for any errors exist prior to the changes. 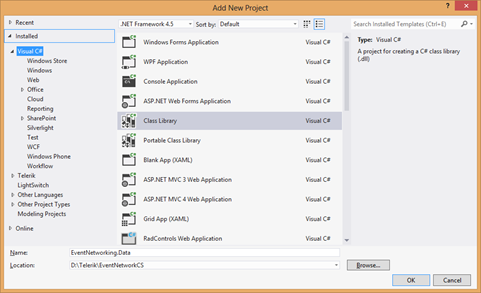 To begin with the process we add a class library to the existing EventNetworking (EN) web application. Create a new ‘Class Library’ and name it “EventNetworking.Data” Make sure to change the target framework similar to the same version as the existing project. This is a very common mistake that a developer encounters. Right click on EventNetworking.Data->Properties. In our case we need to change the Target framework to 4.5Next we need to add an App.Config file and set the “ConnectionStrings”. We should copy the connection string from Web.Config file of the existing project. Once we have done that, we again need to go to the Properties of new project and check the “Settings” tab to see if the connection string has been validated. Now we will transfer the existing data layer file to our new project. Transfer the “Networking.dbml” from “EventNetworking” project to EventNetworking.Data. DBML stands for DataBase Markup Language. The DBML file represents the data model for a LINQ to SQL project – it’s used to generate the C# code for the various entities. And build the “EventNetworking” project to get a list of errors. These errors have occurred because we have moved the DBML file to another project. To resolve the above errors, first we need to add a reference to the EN project. 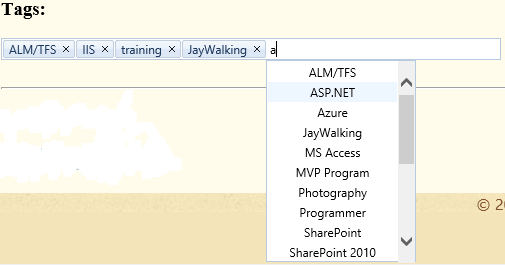 Right click the “EventNetworking” and Add Reference -> Projects -> Select “EventNetworking.Data”. Next, we will have to refactor the code as all the data links have been shifted from its current location to a new project. 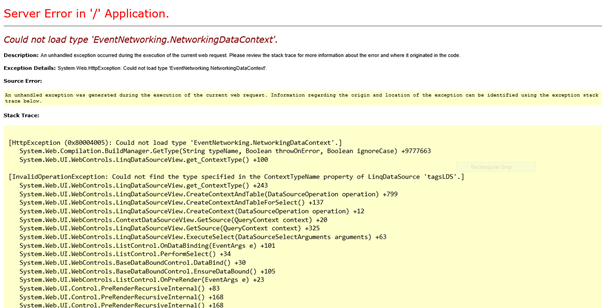 Select “using EventNetworking.Data;” for all such errors. Rebuild the project to remove errors depending on the above dependency. We create a new class within “EventNetworking.Data” named “ENData.cs” and copied all the dependent files from “Utilities.cs” within “EventNetworking”. 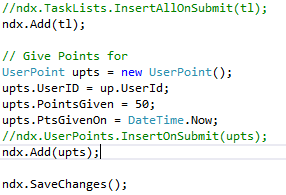 and make the above changes at all places where TaskList is being referred as class. Now we are left with around 20 errors and all of them having the same construct. We will have to make these changes in more than one aspx file. Finally, we have resolved all the build time errors. The build is a success but there is a runtime error which still lingers. This occurs because, we have moved the data access layer to a new project and modified the direct references. But we are still left with the most important reference which is mapping Linq to SQL. 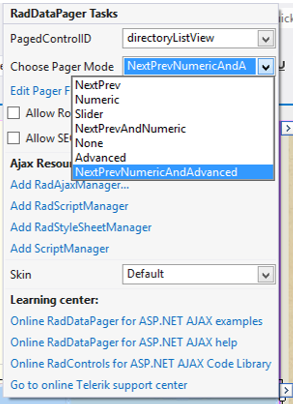 Make changes to all the LinqDataSource control in all the aspx files. Build the project and we should be left with neither compile time nor runtime errors. We have managed to create a separate DAL (Data Access Layer) and reproduce it into a new project named “EventNetworking.Data”. This blog post explains the various errors we faced while we moved the data layer from one project to another and how to resolve these issues. From my point of view the current user experience is too voluminous. The css needs to be restructured to use latest standards. All the margins have to be changed from fixed to dynamic so that no space is left unused on the user screen, when the web application is shared amongst different devices. The webpage will be enhanced to Responsive Design. 1. The photos need to be of the same size for all the delegates. For people who do not set their pic will have different default image for men and women. 1. The data is currently being filtered in the ListView. 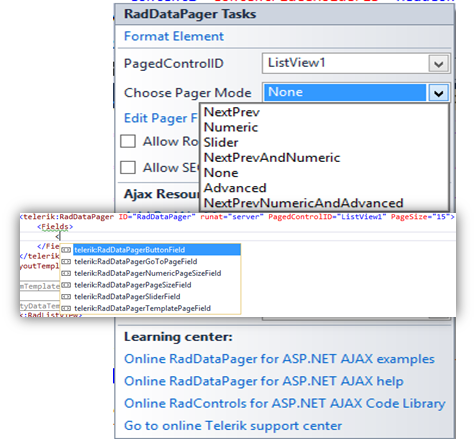 We will replace this control with the RadListView which is a part of a bundled form of “RadControls for ASP.Net AJAX” toolkit. 2. We will provide paging option in the list view. 1. Inbox will carry any updates and notifications for the events delegate has subscribed to. 2. Add a link to Tasks so that contents of a message can be directly filled in the tasks and create an instant task for that. 1. Empower user to add priority to tasks with different symbols to give a better visual appeal. 2. 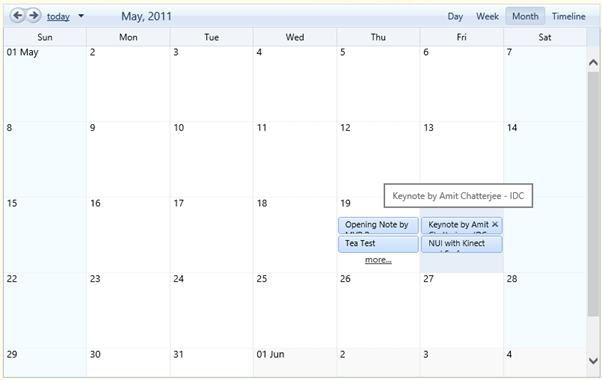 Modify the calendar controls for better presentable view. 1. 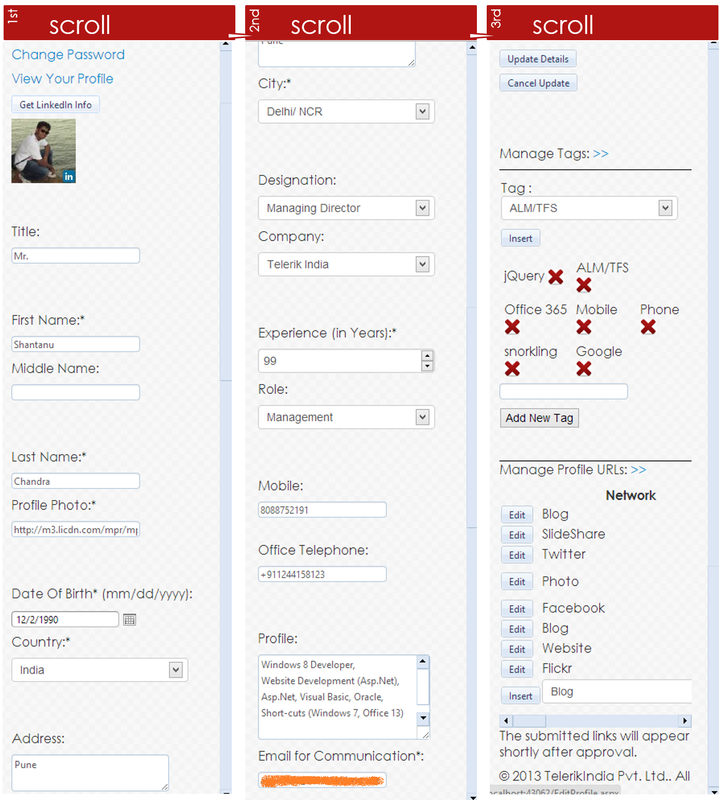 Currently this page is too long with the options to “Add Your Blogs”, Personal details, etc. all in extended view. This page needs better layout. 1. The basic functionality of Forgot My Password needs to be added. 2. 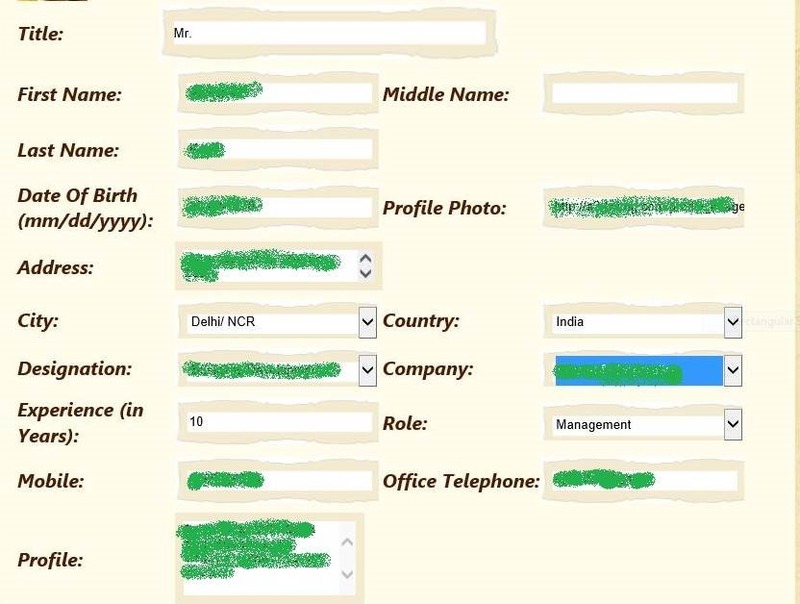 While Signup, option of filling in your complete profile should be provided and whether the delegate wants to be displayed as public. This Event-Networking is presently made for just one event. We have to extend it for non-singular event. One of the major changes will be ajax-ifying the data controls. This would help us improve drastically on performance as now only partial-page rendering will happen. 1. The aspect of social gaming in the web application is not fool-proof. A person can easily figure out the method of scoring. Thus it should be based on more general parameters and updates to each delegate should be fired only once a day. 1. 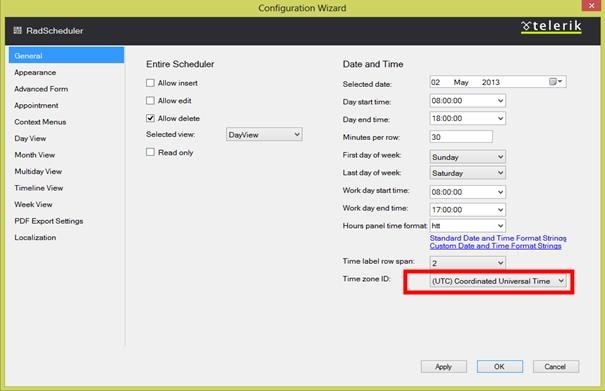 Provide filtering on date, duration, title and venue columns. Currently, only sorting is possible. 2. 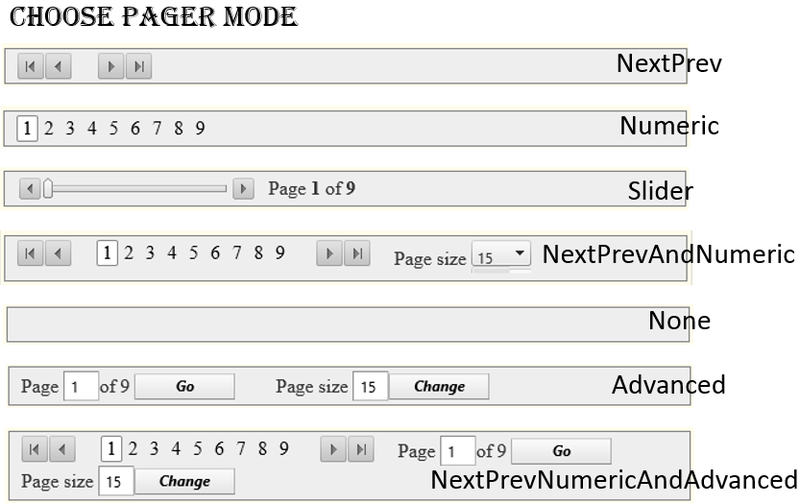 Add a pager index so that a user can track his movements. 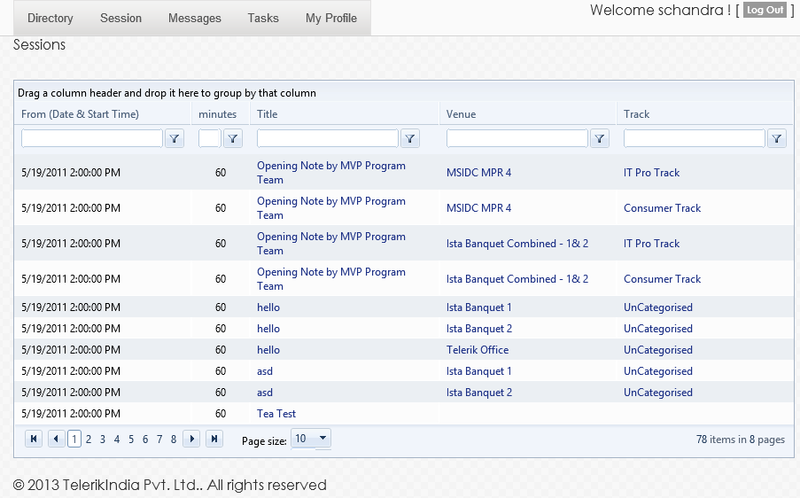 This can be implemented using Telerik AJAX Navigation Components. 1. Currently, there is no paging as expected. We should make it more intuitive. There are two ideas to remodel. First, to have a tab in the left and message being displayed in the right pane. Second, whichever message is selected, that will get expanded and a new control will be added to the existing list generated. 2. We will put following in the navigation menu such as Message, Contact Request, Meeting Request, Sent and Draft as sub-menu added instead of clustering all of them in the inbox. 1. The task-list should have filtering and sorting capabilities and Add New Task should be another navigational tab under Tasks. This page has the maximum white space when you create a task. 1. We will provide tabs like View, Update, Remove and Change Password. 2. Currently, we do not have “delete” option once you add links to your blogs. There is only an update option. This needs to be changed. We have already done the functional testing of our existing web application in our previous post. It defines the benchmark for our application. As we improve the UX and functionalities we keep comparing our modifications. This will help us explain whether we have improved just on user experience or also gained on time constraint. Two important features we are looking forward to implementing minification and bundling which would help the speeding. – We will minify the style sheets and scripts. We will also bundle the style sheets and scripts. We are currently using Linq to SQL as our partial ORM. But it has a greater overhead. We will deploy OpenAccess ORM which will provide us a Data Application Layer (DAL). Another improvement would be to cache static data. This can be achieved using L2-Caching which is a part of OpenAccess itself. It increases data fetch drastically. We will be using page caching or output caching as per the need. We will generate companion hybrid app for different platforms. 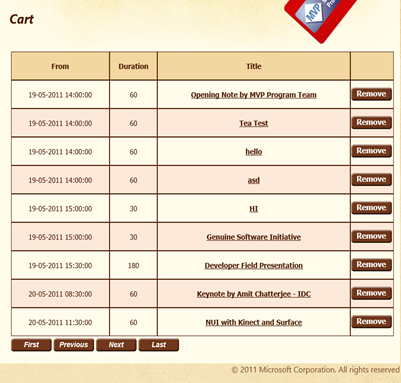 There is potential to generate Windows 8 and Windows Phone 8 application. 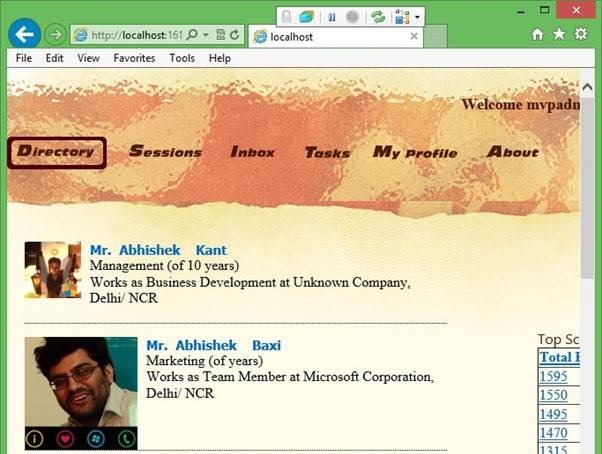 This post concentrates on improvements, enhancements and extensions for the Event-Networking web application. We will look at each one of these aspects and explore further. 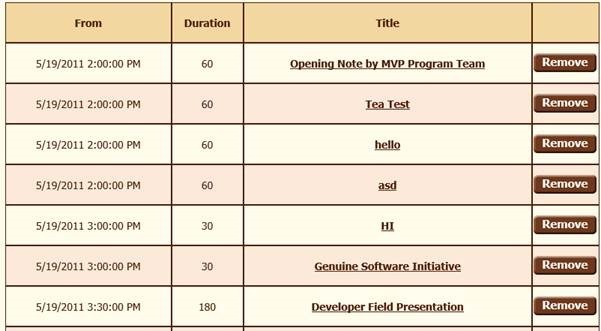 We have talked about the Event Networking web application. To start revamping we need to understand the architecture of the existing web application.The current implementation does not follow any architectural patterns like Separation of Concerns, Single Responsibility, Layered approach etc. No planning was done before building the application. We can say that top down approach was followed to develop the current web application. Top down means that the features were added as and when the developer thought it was required. The current application is like a forest of tangled codes. The current architecture of the application is shown below. The architecture may look like 3 tier in the beginning but really is a 2 tier due to the absence of the Business Objects. 1. Presentation Layer: A user can directly access this layer. It comprises of the ASP.Net Web Forms files i.e. aspx. 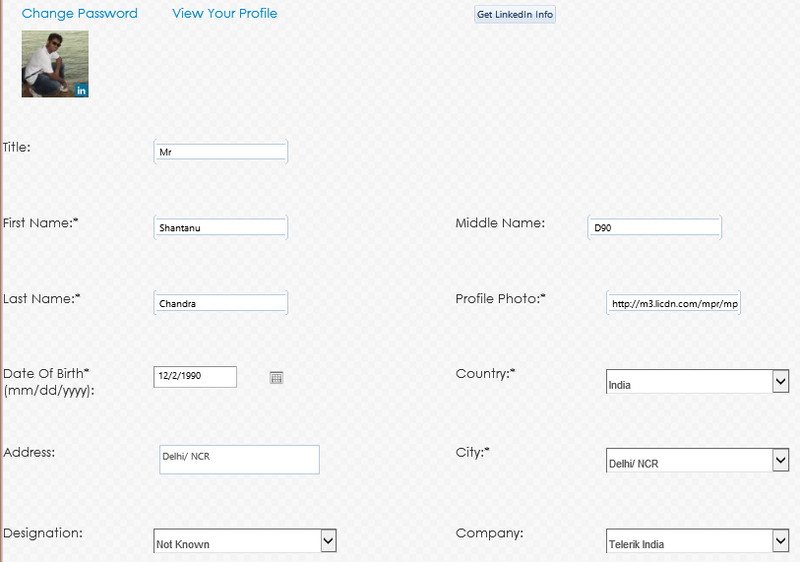 The look and feel and user interface of the web application is also built here. 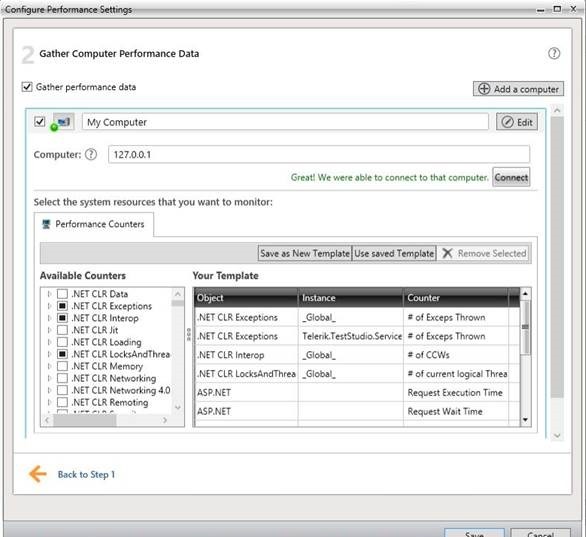 2. Business Access Layer: BAL encapsulates the business rules and data validation. 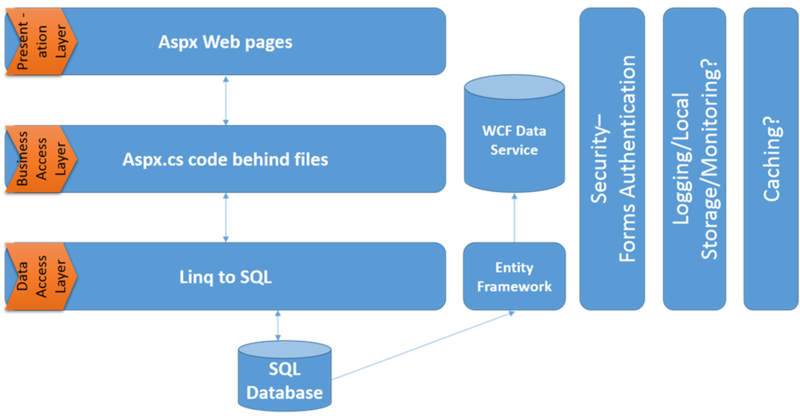 All the code behind files which we have in our project along with the WCF Data Service are included in this layer. It comprises of the aspx.cs files. 3. Data Access Layer: DAL is the layer to access external data and interact with it. It executes as per the need of the BAL. This layer is the interface between the user and the real Data. The ORMs here include Entity Framework and Linq to SQL. 4. Data: The last layer represents the physical data with which the application interacts. We use SQL Database here. 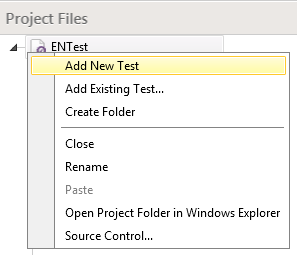 Both Linq and Entity Framework stores and retrieves the data from SQL. 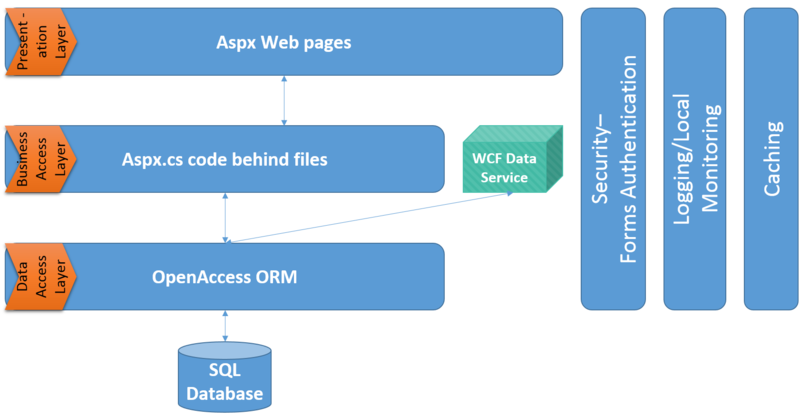 A distinguishing feature of the application is the presence of the WCF Data Service. 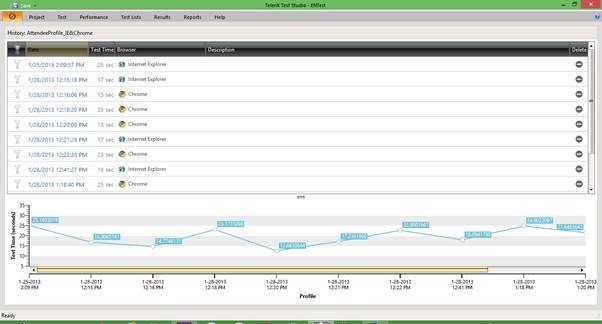 The Data Service serves to expose the application data to external clients e.g. mobile devices. The Data Service is a read only service and operates independently of the web application. However, it still uses the same database for its data. The web application doesn’t have the critical functionality of logging, local storage, monitoring and caching. In this post we have understood the existing architecture. 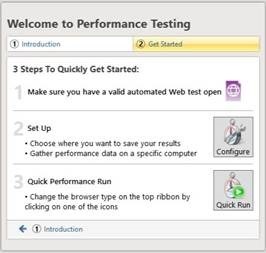 Next, we will perform a web test and discuss various counters and results of the test. 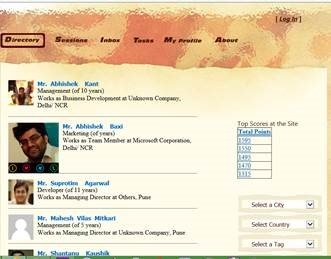 The web application we have chosen is about social networking at events. This post briefs about the existing features of the application. All the delegates registered are visible in a list form. A specific genre of audience can be filtered on the basis of different parameters such as City, Country, Tag, Designation, Company, Role and experience. You can view the profile of a delegate and connect to them. 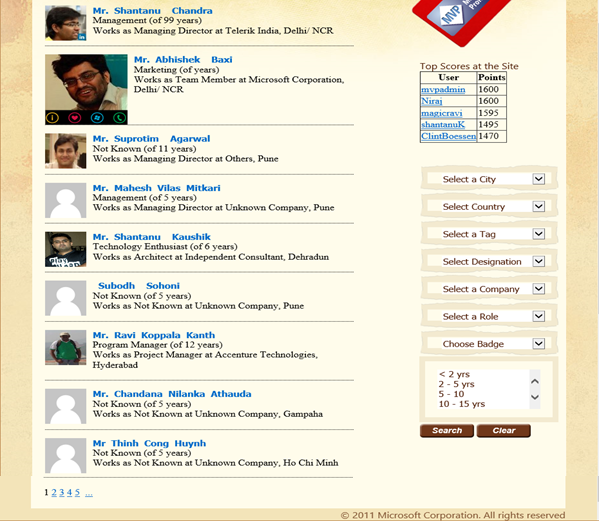 In their public profile you could see job description and links to their various social networks. 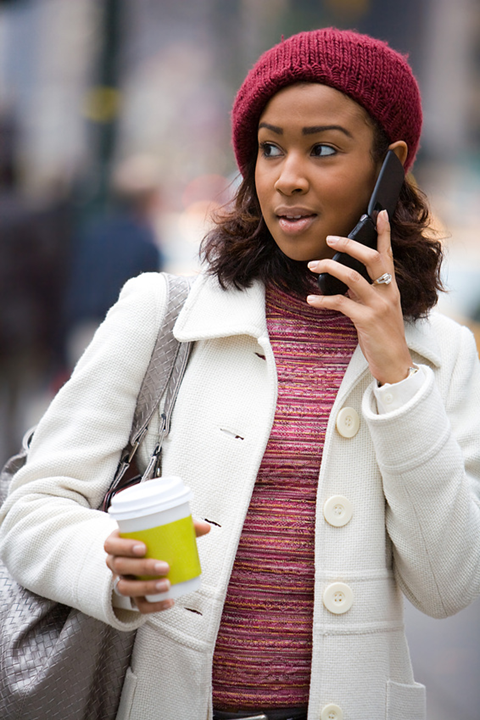 Once you are connected to another delegate you will also have the privilege to see their personal details. 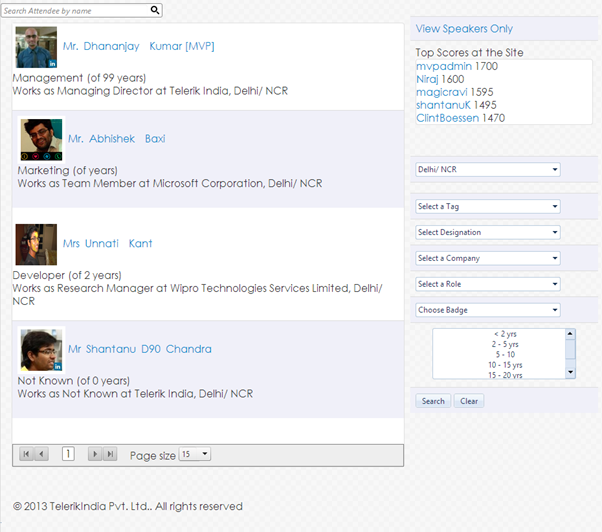 The web application has a feature of social gaming and the top five scorers are displayed on the home screen. All the events/talks/workshops along with their date, time, venue and track are shown. Further information about speakers and other attendees can be viewed based on individual talks. You can explore an event and add it to your personal list of event. 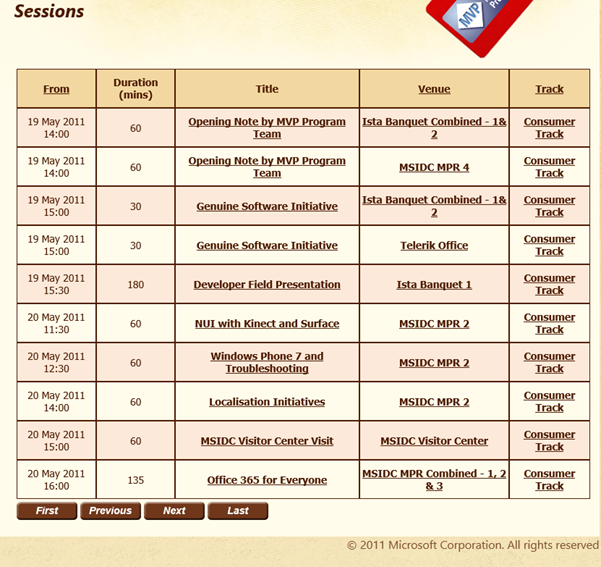 There is a sub-tab “Cart” under sessions’ tab which displays the events you have registered for. The Cart would help notify the attendees about last minute changes or pre-requirements for the event (if any). 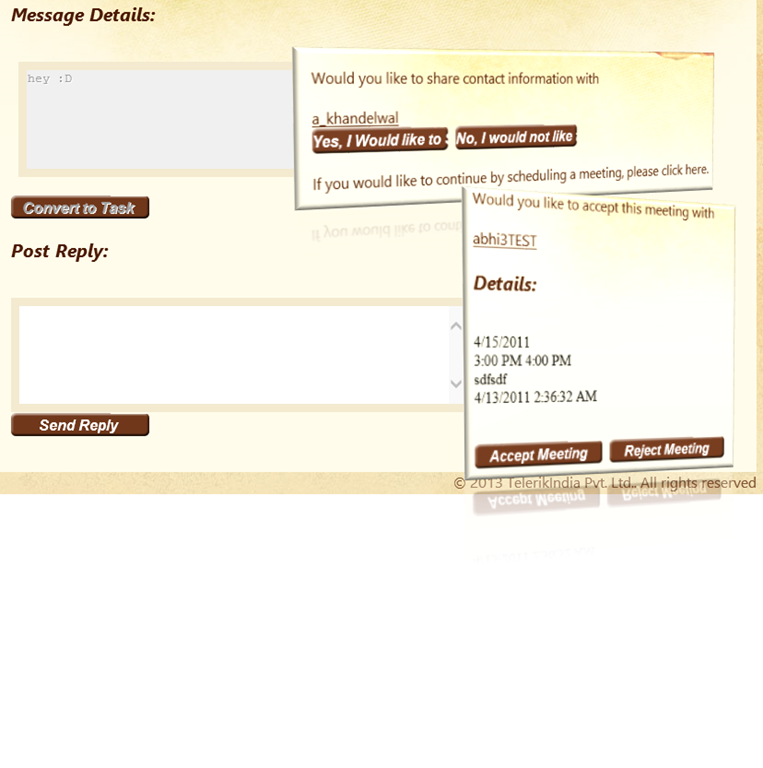 Other than receiving text-messages you interact with other delegates by sending meeting requests. Other types also include contact request. The person can view sent items along with the timestamp if needed. The tasks are meant to create a list of jobs or reminders for self. A task can be categorised with options like task created, completed, cancelled or deferred. Task url specifies the micro formats. A person can view and update his profile. 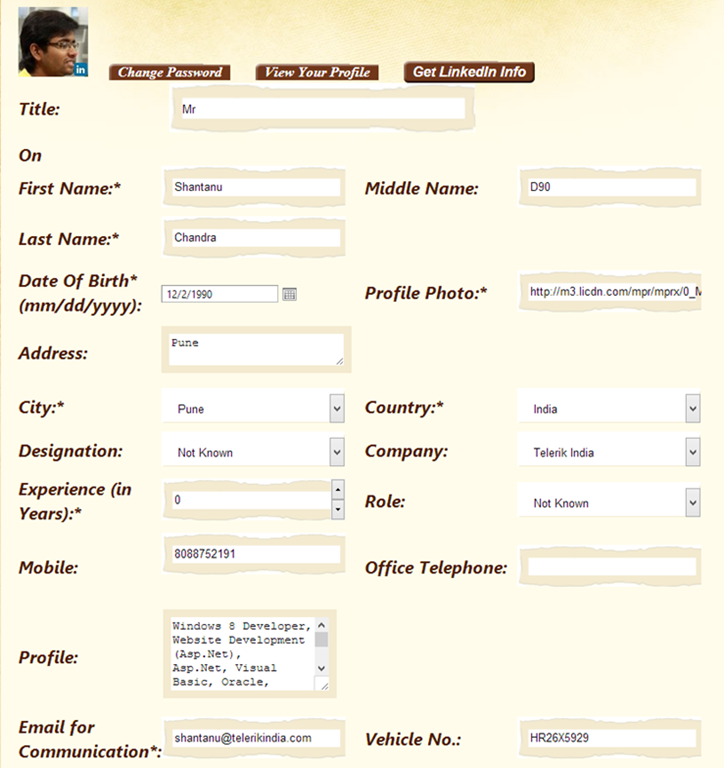 The profile includes name, DOB, address, designation, years of experience, personal contact details. You can change your account password. Set your url feeds for your blogs and social networking websites to connect with delegates. You can also define tags which would help delegates find you easily based on various technologies. In this post we have discussed on the key features of the application. Next we are going to elaborate on the testing results and its architecture. Web applications have been around for quite some time. Generally, developers have been handed applications to enhance and extend with new functionality. This series of blog posts aims to showcase revamping/enhancing an existing web application. The web application that we are going to select is a simple application that has been used for creating ad hoc social networks at events. The application enhances the utility of an in person event by providing opportunities of structured networking amongst attendees. The application presents a searchable directory of attendees. 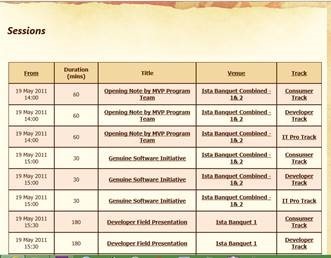 Sessions being conducted at the event are listed for delegates to build their personalised schedules. Once an attendee logs-in the application with the verified credentials he can communicate with other attendees and setup meetings with them. The organisers can benefit by making last minute changes to the sessions/ speakers at the event. Aspects of social gaming are included in the application to make it more interesting for the attendees. Highlight the changes in the selected metrics. 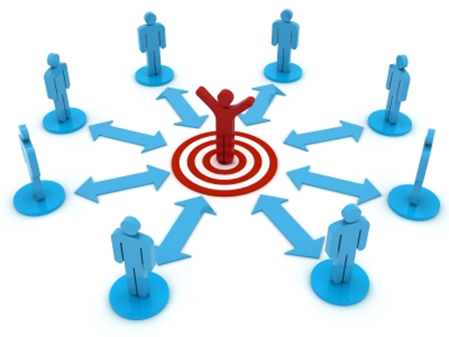 By using this application, the attendees benefit from interacting with targeted audience and building their professional circle more effectively. In this post we have seen objective of the application and in next part we will discuss the possible enhancements and new features which can be added.